Celebrate for less this season with these budget-friendly tailgating recipes from All You that each cost $1 or less per serving. We dare you to find a cheaper tailgating snack that will be as big of a hit with your fans. These deviled eggs cost just 9¢ each, are a game-day classic, and are the perfectly sized finger food. For an extra touchdown, use fresh chives to create the look of football laces. Good friends will always appreciate a bucket of down-home fried chicken while tailgating. And don't feel guilty making this ahead of time. Hot or cold, it's a tasty snack your team can enjoy all day. For mess-free cupcakes, try these mini versions on for size. Show your spirit by purchasing mini cupcake liners in your team's colors, or try adding color-coated candies to the batter. A cheesy spread is a staple at any tailgate, and this flavorful appetizer is bound to draw cheers. Make the spread in advance (it needs to chill at least 4 hours) and serve with crackers and raw veggies. There's no cooking involved in this recipe, so let the kids help in the kitchen! Prep the dried fruit, nuts, and pumpkin seeds, and then let your little rookies mix it all together. After a pick-up game of football, fill up your team with this hearty potato salad. Be warned, though: the flavor is so delicious, they'll probably be back for more! By adding bacon, this recipe mixes up the average black bean dip. 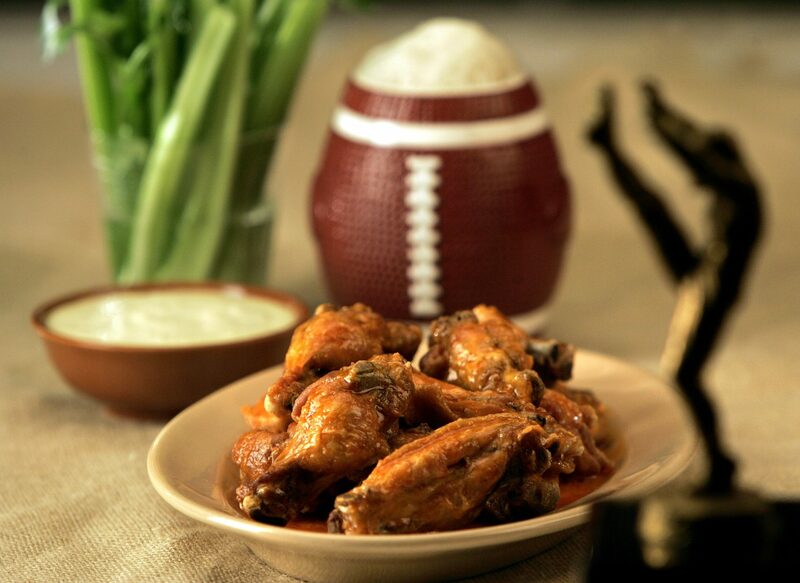 Because it's best at room temperature, serve to fans in front of the big screen during your at-home tailgate party. No need to visit the concession stand; kids and adults alike will love this homemade sweet-salty combo. Serve in portable paper cups or snack bags, and watch them eat it up! As the burgers and dogs come off the grill, break out this cool and crunchy side. One batch can go a long way, so if you're lucky, you might get to bring home leftovers in the cooler. Amidst the tailgating comfort food, sneak in a garden-fresh side that's under a buck per serving. It's guaranteed to score the extra point with fellow game-goers. Ditch the bags of greasy potato chips, and bake your own pita chips instead. The cool, creamy dip can be ready in minutes, so keep extra ingredients on hand and whip up another batch during a commercial break. Satisfy your game-day sweet tooth with these decadent cookies. Packed with dried cherries and two types of chocolate chips, they're sure to pick you up, even if your team is down.